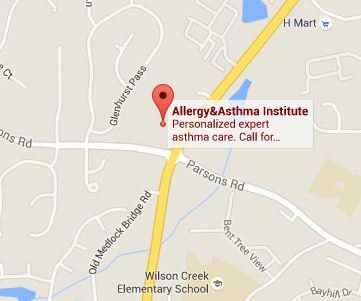 Welcome to the Allergy & Asthma Institute patient information center. Here you can find news, helpful resources, information on our policies and additional materials on insurance and billing. Please click on the links below to learn more about us. In order to expedite the patient registration process, please download our New Patient Intake and Registration forms, print it, fill it out and bring it with you on your first visit to our office. Thank you! Allergy Skin Testing Allergy skin testing is performed to evaluate many allergic conditions including allergic rhinitis (hay fever), asthma, food allergy, stinging insect allergy, some drug allergies, and some allergic skin disorders. The American Academy of Allergy, Asthma & Immunology is an internationally recognized organization and the largest professional medical organization in the United States devoted to the allergy/immunology specialty. We are now offering the flu vaccine to all our patients. Remember to double check all food labels especially as the Holiday season approaches. Schedule an appointment and take your first step towards an allergy-free life!